Having a hard time deciding what to do? Sometimes it is difficult to decide if you should sell your house to an investor like us or if you should list it with a Realtor. If your house needs a lot of work and you need to sell it quickly then the clear choice is to let us make you an offer. If you list a house like this with a Realtor it will end up selling to an investor any way. Why not save the time and Realtor commissions and let us buy it directly from you? If you have a house that is in great condition and you don’t mind waiting several months for it to sell then you are better off listing with a Realtor. But what if you don’t completely fit either of these examples? What if your house is outdated but is not in terrible condition? 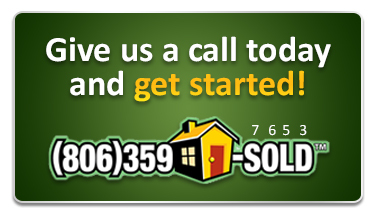 What if you need to sell your house soon but you don’t have to sell it in a week. In other words, you don’t have to have it sold in the next 30 days but you can’t wait for 3 or 4 months. Over the years we have worked with this situation quite a bit and we have a great solution! Let us give you a written offer to buy your house and then list it for you. Does that sound confusing? Well here is how it works. First we give you a written offer that you can fall back on at any time. Then we list your house to help you get as much money as possible. At any time while your house is listed you can accept our offer and we can close in just a few days. It is very comforting to know that you sell your house at any time if you needed to. But many times we can sell it for you and help you get even more money. Selling it for top dollar to a homeowner is your plan A and selling it to us is your plan B. Now I know what you are thinking. You think we might not try very hard to sell your house so that we can buy it. Well that is just not true. Buying and selling houses can be very risky. More risky than what most people realize. We would be just as happy to list if for you and get it sold so that everyone wins. Emmy is a licensed Real Estate Broker. She has been selling houses for almost 10 years. It is a big part of our business. Because we sell so many of our own houses, we understand what it is like to have a property that needs to be sold as fast as possible. In other words, we know how it feels to be in your shoes! Many Realtors lose sight of this and take a very casual approach to selling houses. Not us! We work very hard to get your house sold. We buy houses but we also list houses. Either way you decide to go we can help. Call us today at 806-359-7653 and let us give you more information about this program.